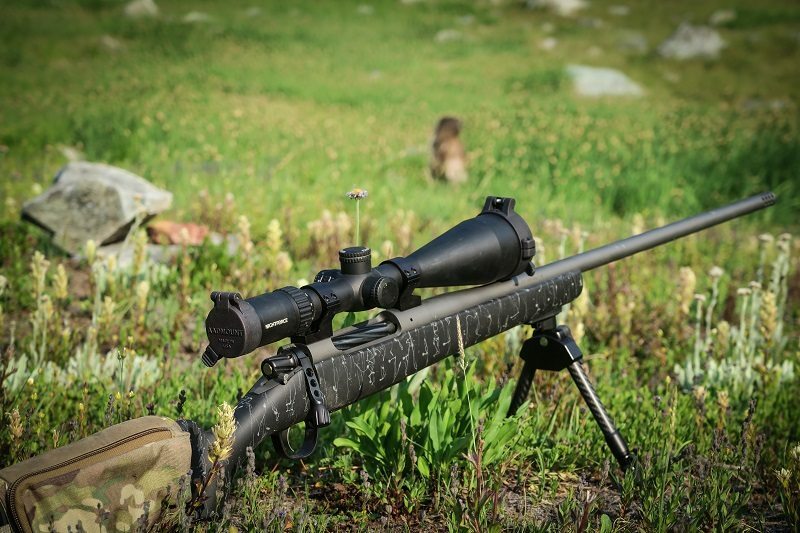 Christensen Arms has been at the forefront of lightweight, mountain rifle technology since founded in 1995. I still remember the first time I held one of their Carbon barreled rifles and couldn’t believe how light it felt in my hands. 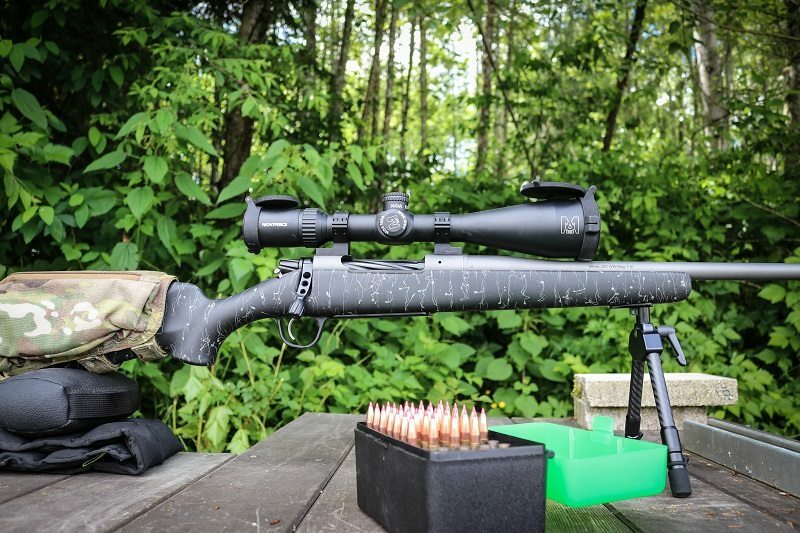 Unfortunately, a carbon barreled rifle is over budget for a lot of sportsman and women. Because of that, the guys at Christensen saw the need for a top quality, accurate, feature-rich hunting rifle that didn’t break the bank. That’s when the Mesa was designed. When I first received the Mesa I was impressed as I pulled it out of the included case and looked it over. The fluted bolt with skeletonized handle and fluted knob are coated black and really stand out in the grey action. The stainless-steel action has an enlarged ejection port, hinged aluminum floor plate, and match-grade trigger. Scope mounts are really easy to find since the action is a Remington 700 clone and uses the same mounts. I did notice the bolt throw is high which puts the bolt handle close to the scope and could cause clearance issues if you mount your scope really low. 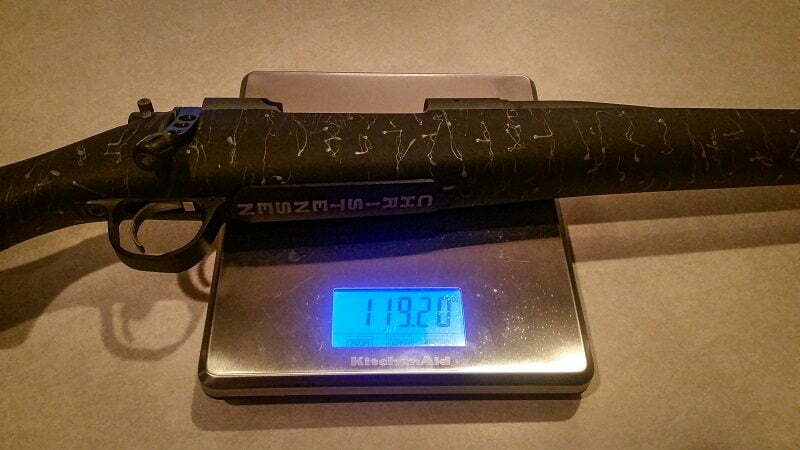 The barrel is button rifled, hand lapped, and comes in 22 and 24-inch lengths depending on caliber. I chose the .300-win mag with a 24 in. long, 1:10 twist barrel. 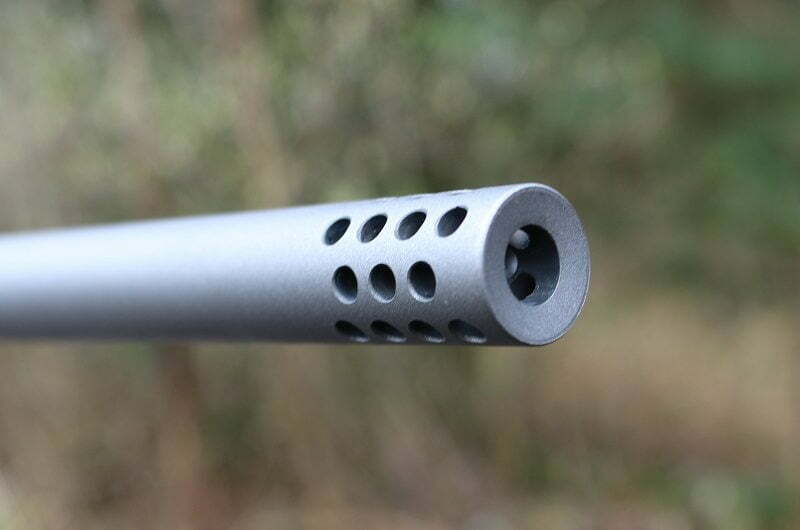 The Mesa also comes with a threaded muzzle, seamless radial brake, and a thread protector for those who prefer to hunt without the muzzle brake. One of my favorite features which I feel sets this rifle apart from its competitors is the 1.5-4 lb adjustable Triggertech trigger. On top of all that, the entire action and barrel are Cerakoted for weather protection. The sporter style stock is comfortable and lightweight, although I would like to see more stiffness in the forend. Weighing in at 7.45 lbs on my scale, the Mesa weighs a little more than the advertised 7.3 lbs. I would have liked to see it in the 6 to 6.5 lb range. The other negative, in my opinion, is the radial muzzle brake. Yes, it does a decent job of reducing recoil, but I much prefer their side port brake and wish they would have gone with it instead. This is still a great all-around rifle that most would be proud to carry. As soon as I got a break in the rainy spring weather I mounted up a Nightforce SHV in Talley medium height rings and sighted it in. At the same time, I broke the barrel in according to the Christensen Arms website. I got groups right around moa as I used a couple boxes of factory Hornady ammo for the barrel brake-in. Next, I started working up a load with the 178 grain Hornady ELD-X bullets and H1000 powder. I was easily able to get a load dialed in and shooting under moa and right at 3000 fps. 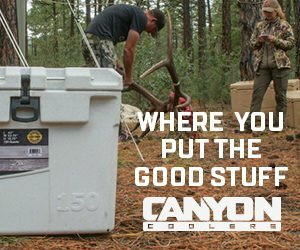 Satisfied with my load, it was time to validate drops and take the Mesa into the field on some hunts. For long-range testing, I shot the Mesa in the mountains and over the rolling hills of Eastern Washington. 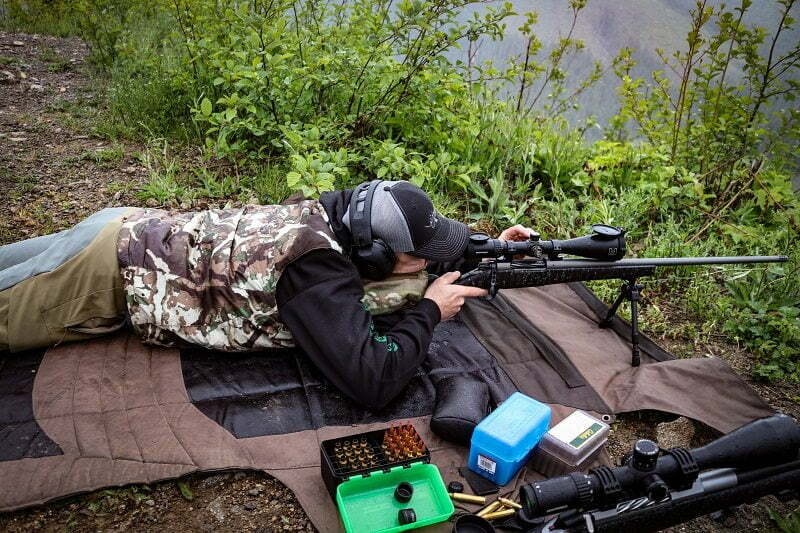 I like to test the rifle (and myself) in conditions just like I experience while on hunts. The ranges were from 500 yards out to 1128 yards and performance and consistency were very good. Multiple times I took the Mesa out and made first shot, cold bore hits on targets with bullseyes that were less than half moa. The first hunts I had for the year were a couple early fall bear hunts. I covered a lot of miles, saw a few bears, but in the end couldn’t close the deal unfortunately and left my bear tag unfilled. Next, I was was off to Wyoming for some antelope hunting and a chance at some redemption. Just before the antelope hunt, I received a Sig Sauer Whiskey 5 scope for testing so I mounted it up and was ready to go. Read my full Whiskey 5 scope review here. The first morning in Wyoming was overcast and quite windy but we spotted a good sized herd of antelope right away. 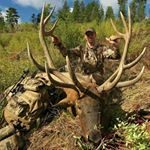 After a long crawl to get into range, my friend Rob dialed up the Swarovski X5 on his Christensen Arms Ridgeline chambered in 26 Nolser and dropped his buck in its tracks. The herd scattered then settled down and I quickly spotted another good buck. After a quick range check with my Sig Kilo 2400 ABS rangefinder, I was able to make a good shot and drop my buck where it stood as well. 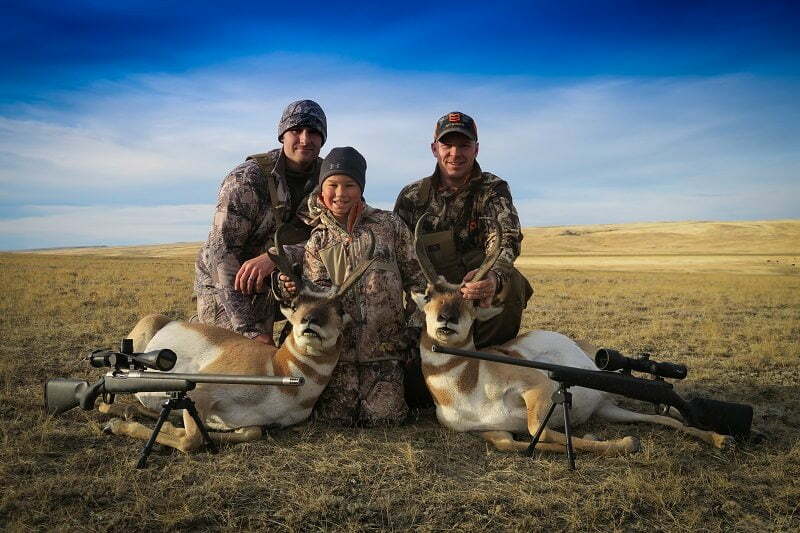 Our first morning of antelope hunting was fast and exciting, and thanks in part to our Christensen rifles we each made clean kills on our first antelope. I was very happy with the features and accuracy of the Christensen Arms Mesa throughout the year. 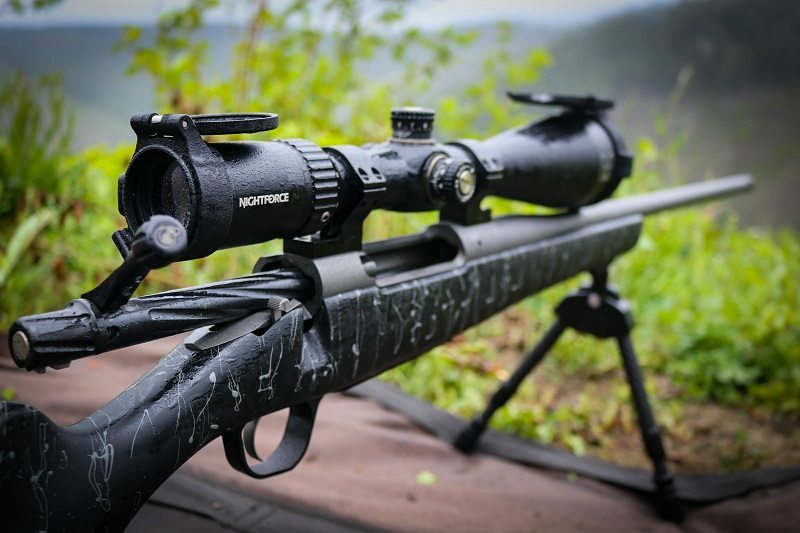 Even though it is heavier than I prefer I feel it is a really good value and should be considered if you are looking for an accurate, all-weather rifle that you can rely on for all your hunts. You can comment or ask Justin questions here.